Tormead Junior School is a happy, caring and friendly school with high expectations both inside and outside the classroom. Our girls enjoy an exceptionally broad and balanced curriculum encompassing academic, sporting, artistic and music fields. Our aim is to nurture and support our pupils by closely tracking progress and by ensuring they thrive through excellent tuition and thus reach their true potential. The school prides itself on its high academic standards and expectation of the girls whilst ensuring teaching and learning is exciting and challenging. French is taught from Year 3, with the addition of Spanish and Latin from Year 5. All girls enjoy specialist teaching in music, games and gymnastics, and from Year 2, also in Design Technology. We believe an important part of preparing our girls for the future is to ensure they are adept with the use of new technologies and we are proud to be an Apple Distinguished School. From Reception to Year 4, the girls enjoy using our sets of shared iPads in their lessons. From Year 5 the girls bring their own devices. We are proud of the creativity and intellectual curiosity our girls display and, by using technology safely and responsibility, our girls learn to enhance and extend their understanding throughout the curriculum. In addition, IT lessons build up the skills and confidence of our girls in areas such as coding, e-safety and data handling. Girls are taught by subject specialists for some subjects from Year 1; this increases as they move towards Year 6 when they are taught by different staff, from both Junior and Senior sections of the school. This provides them with the opportunity to get to know some of their Year 7 teachers before they move ‘across the road’, and also exposes them to expert tuition in all subject areas. From Year 1 onwards, girls are taught ‘Thinking and Learning’. This covers a broad range of topics encompassing Philosophy, Independent and Critical Thinking. These lessons complement Tormead’s school-wide initiative, High Performance Learning. The lessons challenge the girls to question, debate and answer questions provided by themselves or the teacher. The skills taught and learnt in these lessons encourage the girls to be independent learners, who develop into motivated learners. An oft-repeated phrase in our lessons is, ‘Mistakes prove that you are trying.’ Learning to take risks and to persevere if at first they do not succeed encourages the girls to be bold in their approach to their learning, and to develop the confidence to have their own voice. The curriculum of the Junior School achieves a dichotomy of aims; it ensures that the teachers have high expectations of the girls and that academic standards are high, whilst teaching in a way that – quite simply put – is ‘fun’. By ensuring that the teaching and learning in the Junior School is interesting and motivating, the girls are fully focused on their work and keen to learn more. In addition to their activities in the classroom, the girls enjoy numerous opportunities to be involved in many extra-curricular activities. Our aim is to offer a comprehensive range of activities to allow every girl to find an interest in which she would like to participate and so develop her talents in this area. Extra-curricular activities (in addition to sports) include: Art, Archery, Drama, Book Club, Debating, Mindfulness, DT, Science, Code Club, Think Tank club, Minibridge, KS1 German, LAMDA, Ukulele Club, iPad Club, Chess, Ballet, Street Dance, Modern Dance, Judo, MTech, Choirs, Orchestras, String and Brass Ensemble, Guitar and Harp Ensemble, Recorder Club and Jazz Band. All sports are catered for by facilities on the Junior or Senior School sites and includes the use of the sprung floor gymnasium. The excellent facilities at Surrey Sports Park are utilised for Swimming, whilst the Urn Field is used for Athletics. The girls have regular fixtures with neighbouring schools in numerous sports throughout the year. The ethos of our school means that all girls have an opportunity to be involved in all extra-curricular or sporting activities, regardless of ability. Girls with a particular talent in their chosen activity are provided with additional practice. Personal, Social and Health Education is not just an academic subject for girls in Tormead Junior School but also a way of life. There are high expectations of how the girls will behave. During lessons, once a week, the girls will consider topics such as friendship, setting targets and goals, how we should treat the environment and how to live a healthy life. In addition, moral and social issues are regularly the subject of assemblies. In their final year in the Junior School, prior to their transfer to the Senior School, the girls follow a course on growth and development. 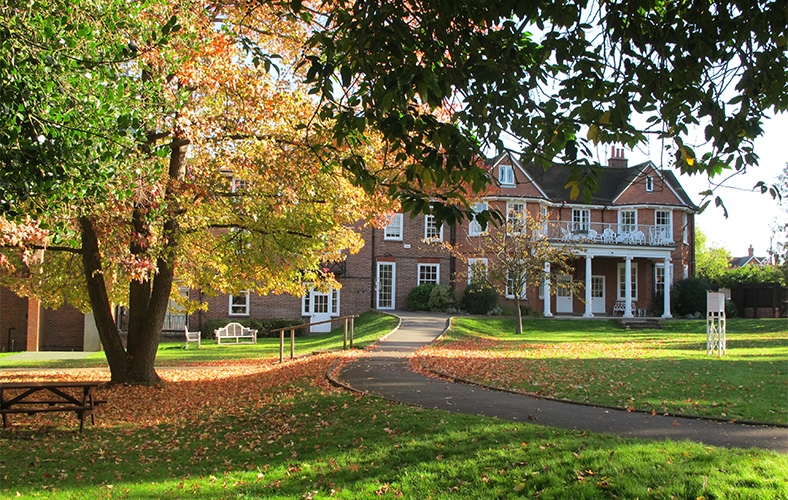 Pastoral Care of the girls was described by our last Independent Schools Inspection as ‘outstanding’; this is achieved by dealing with any concerns the girls may have, whether over a friendship or an activity in school, quickly and conscientiously. The Junior School is keen to ensure the girls have an understanding and appreciation of community and charity. To this end, every year we hold a range of House charity days led by the House Captains and whole school fund-raising events which take place annually such as Christmas Jumper Day for Save the Children. Through assemblies and presentations, the girls learn about the chosen charity and the reasons for taking part in a fund-raising event. On the day, the girls are usually involved in something which is fun and exciting, and they have enjoyed holding competitions, cake sales and dressing in mufti. Recent events have included ‘Egg and Spoon Races’ in aid of ‘School Club Zambia’, ‘Design a Bag’ in aid of ‘Make A Difference Luggage’ (MADLUG), a ‘Quiz Competition’ in aid of ‘UNICEF’ and donating warm socks and practical items for a local homeless hostel during the festive season in our campaign, ‘Happy Soles for the Homeless’. We are incredibly proud of the responses and generosity from the girls throughout the school who are engaged in the idea of helping those in a less fortunate position than themselves. Tormead is proud to be an ‘Eco Green Flag’ school and has attained three Green Flags to date. Working towards our fourth Green Flag, our Eco Committee leads the way, empowering their peers to drive change and improve their environmental awareness through studying and working on several Eco themes. Our current themes are Waste, Transport, Biodiversity, Healthy Living and Litter. Through assemblies, curriculum lessons and Eco home activities, our Eco Committee plan a meaningful pathway towards improving the environment in school, in the local community and worldwide. We hope to have a life-long impact on our girls and families as we strive to improve and conserve our world.